( You can see my stream schedule there). why X's texture pack of the turtle have a gray head? Wow.. Facereveal when I'm 953.. Woohoo… Cryo untill 2944! Too bad mycelium and grass doesnt turn into dirt when using water anymore.. hope they fix this in the 1.13 update. Sadly I don’t have a twitch account, but I watched the entire thing here! How do I convert the texture pack to 1.13? What are the annoying sound effects for? The ones that play every 2 seconds? Anymore Let's Play Minecraft Together now that 1.13 is back? I miss watching that series. So the texture downgrades are shipping with 1.13? Wait, does that turtle have a xisuma face? 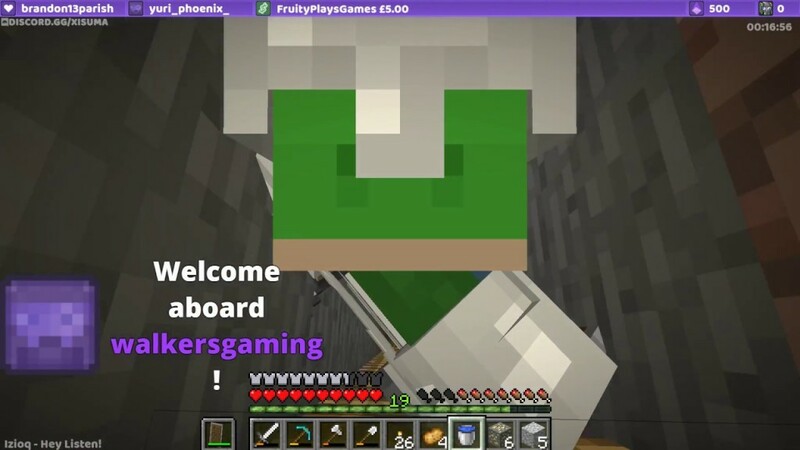 You were in the underwater cave next to Grains house! I loved S5! I am also enjoying the slower pace all the Hermits are taking in S6. Thank you again for putting your streams on YT, I'm not able to watch live. Congratulations on breaking your new season stream record. Yay, S6 hype!!! Will the mobheads update to the latest textures? 1:26:20 that's Mumbo's place, isn't it? X, which is better, enchanted leather or regular iron? And enchanted iron or plain diamond? Awwww I missed it! Oh well hopefully there'll be more! "can I play some Minecraft please?" Hahahaha I laughed way too much at this. Season 6 is gonna be good! ;-D, also do you know how to make pre 1.13 texture/recourse packs work in 1.13?